The major objective of the ISTE is to provide quality training programmes to students, teachers and administrators of technical institutions to update their knowledge and skills in their fields of activity and to assist and contribute in the production and development of top quality professional engineers and technicians needed by the industry and other organisations. 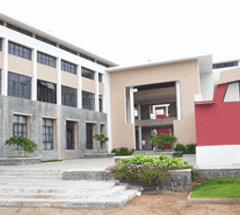 In view of above, at S. R. Engineering College ISTE Local Chapter (AP-81) Institution chapter (IM-1136) and Student Chapter (AP-86) has been established in the year 2004. ISTE Staff Advisor: Sri. 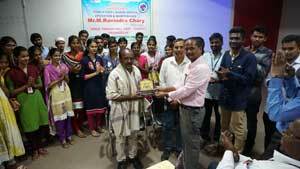 A. V. V. Sudhakar, Associate Professor, Dept. of EEE. 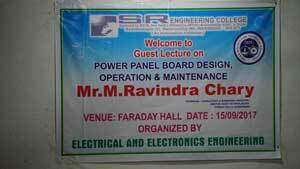 34 2010-11 Expert lecture on "Applications of Electric Motors in Robots" Sri P. Venugopal Rao, Head, Dept. of EEE, SREC 16th October 2010 55 students. 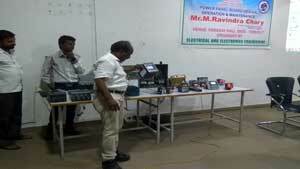 40 2009-10 Expert lecture on "Signal Conditioning" Sri Sd. Musthak, Head, Dept. of ECE, SREC 7th August 2009 IV year students.